Greater Austin is a resilient, innovative, philanthropic, creative and thriving community for all. We inspire, lead and unite an eclectic community of philanthropists including individuals, nonprofits, business, and government to overcome barriers to economic opportunities and ensure Greater Austin continues to thrive. United Way has been part of the fabric of Austin since 1924; nationally the organization celebrated its 125th anniversary in 2012. Our local United Way Navigation Center received the first 2-1-1 call in the state over a decade ago, and early in 2012 the Navigation Center responded to its two millionth call. Of course needs have shifted in Austin over the 90+ years United Way has been here; and we have responded to these changes – while never veering from our original and steadfast mission of fighting poverty. United Way has relied on national and local research to adjust our work to achieve the greatest good. Several years ago after local research backed up a recommendation from United Way Worldwide, United Way for Greater Austin – managed entirely by local leadership, made a shift from funding basic needs to a model of community impact work. This work aims to address the root causes of poverty identified to be in the areas of financial stability, health and education. 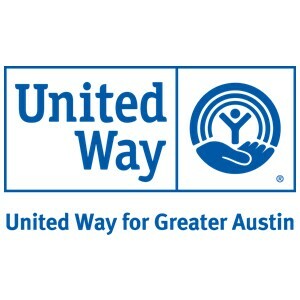 In 2012 the United Way in Austin changed its name from United Way Capital Area to United Way for Greater Austin to better reflect its long-history and ties to the Austin community. In 2014, UWATX celebrated its 90th anniversary with a special timeline project–check it out to see how both UWATX and the City of Austin have changed over the past 90 years.